Stroszek has a bizarre reputation. Known to be quite a depressing film, it was the last movie watched by Joy Division’s front-man Ian Curtis (subject of movie Control) before he committed suicide and has an ending that the crew were not happy with and director Werner Herzog persevered with. As much as the ending is quite low in it’s tone and won’t uplift anyone, the depressing aspect of this movie is how poor it is. 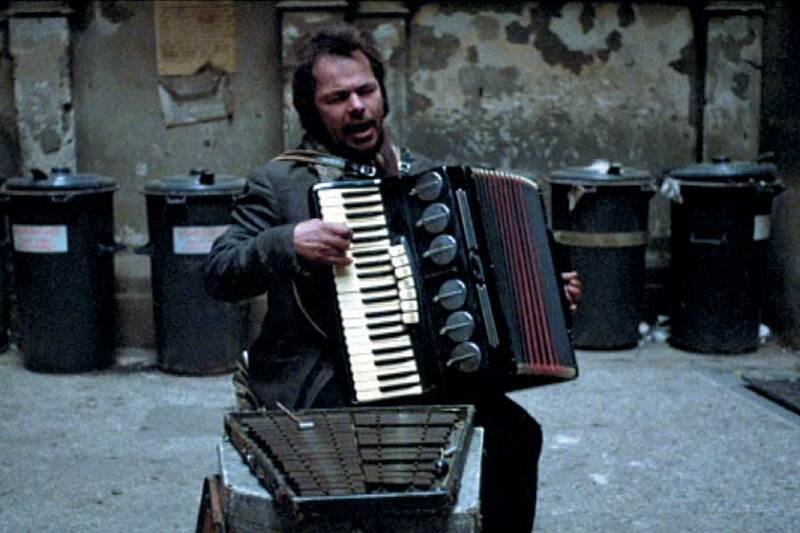 Stroszek is a movie that will confuse many, bore others and leave many people wondering what director Herzog was trying to achieve. The baffling nature of the movie begins almost immediately, with the titular character, played by German actor Bruno S, leaving prison and interacting in scenes which feel very unscripted. This can be a positive in many movies but here it makes for some bizarre, almost awkward scenes between the actor and the rest of the cast. This continues when he meets with his motley crew who will eventually accompany the character to America, in search of the American Dream. Neighbour Scheitz and prostitute turned potential love-interest Eva, played by Eva Mattes, add some colour to the proceedings but can’t quite elevate the movie which at times feels like a random string of moments rather than a coherent movie. There is a plot here. It is the story of three Germans escaping the harsh realities of life at home and trying to make a go of things in America. Werner Herzog was never going to deliver a movie which showed the American Dream in all it’s glory and instead it becomes a series of depressing events which we watch Bruno S’ Stroszek seemingly bumble through, confused by it all. A feeling that will be shared by the watching audience. It isn’t even like this is the best movie tackling a subject like this. Requiem for a Dream is a movie very close to what this movie is trying to do but with a better cast, much better acting and a message which is delivered in a more effective way. Skip this and watch that, but don’t expect to be happy about it. 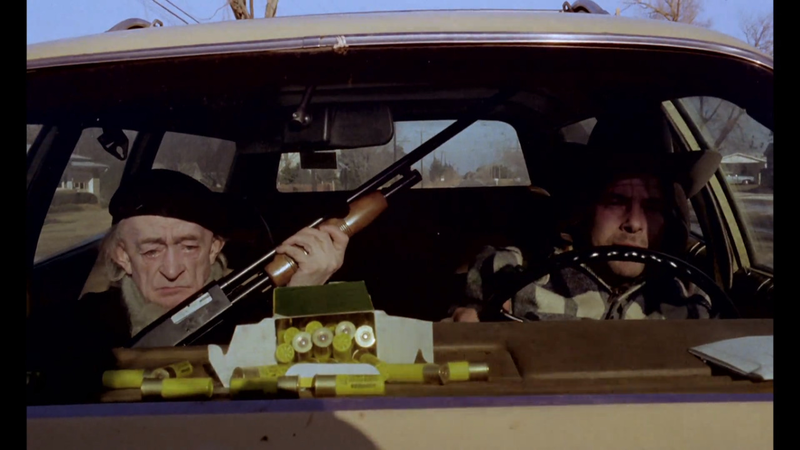 Overall, Stroszek is a strange movie in many ways. It is bizarrely acted, has random scenes which feel strung together rather than focused on a specific narrative and eventually ends with little to no impact. It is depressing but not necessarily because of the movie’s subject but more the waste of your time you would have spent watching it.